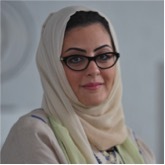 Sofana Dahlan attorney at Law, is one of the first Saudi female lawyers who have been granted the permission to practice law in KSA. Sofana has applied her social and entrepreneurial expertise to revive and develop the creative industries in the Middle-East. Thus, she founded the Tashkeil Global Company, Kayan Space, and launched the Saudi National Creative initiative (SNCI) – an initiative that aims at developing, rehabilitating and researching the local creative scene. Sofana was the first Saudi to serve as a fellow for the UNAOC Fellowship Program in a tour of Europe and the U.S. and has also been selected as one of the Young Global Leaders at the World Economic Forum. She is a motivational speaker and has given many speeches at TEDx and BOLDtalks. Additionally, she has won many awards, such as Female of the Entrepreneur in MENA by the Stevies Awards, and the Arab Woman Awards. Sofana holds an MBA Degree from AUT in Lebanon, LLB and LLM Degrees from Cairo University.